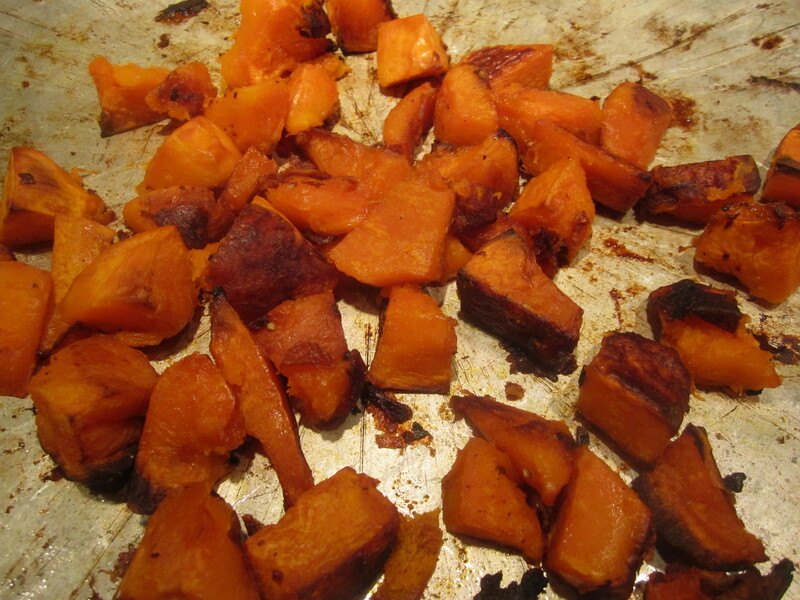 This time of year, I can’t get enough of the sweet, rich flavor of winter squashes. 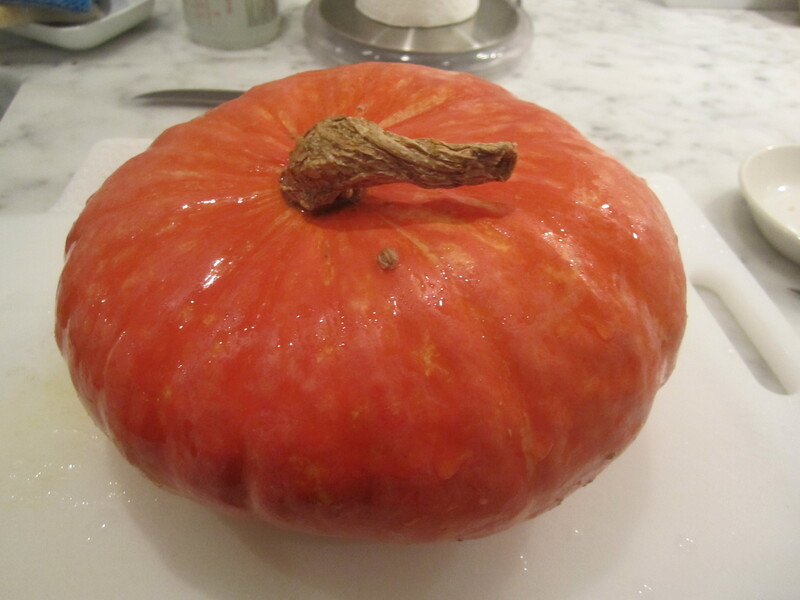 For any lover of butternut squash, kabocha is a revelation. It’s sweeter and creamier than butternut, with a deeper orange interior. Because of its intense sweetness, it goes particularly well with tart or tangy flavors, in this case, green olives (cerignola) and salty blue cheese (Point Reyes, from California). 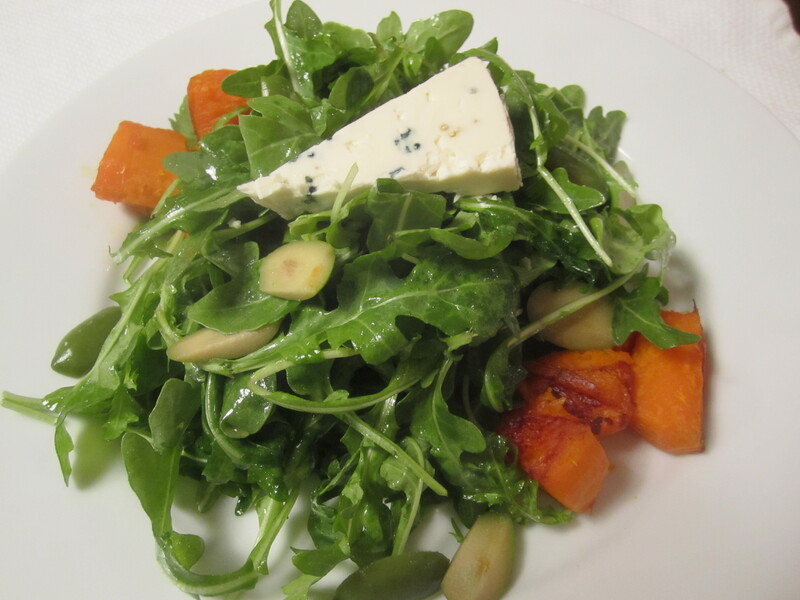 As the greens for the salad, I’m using baby arugula–nice and peppery/lemony. All together, with a dressing of red wine vinegar, agave and olive oil, these ingredients absolutely sing! 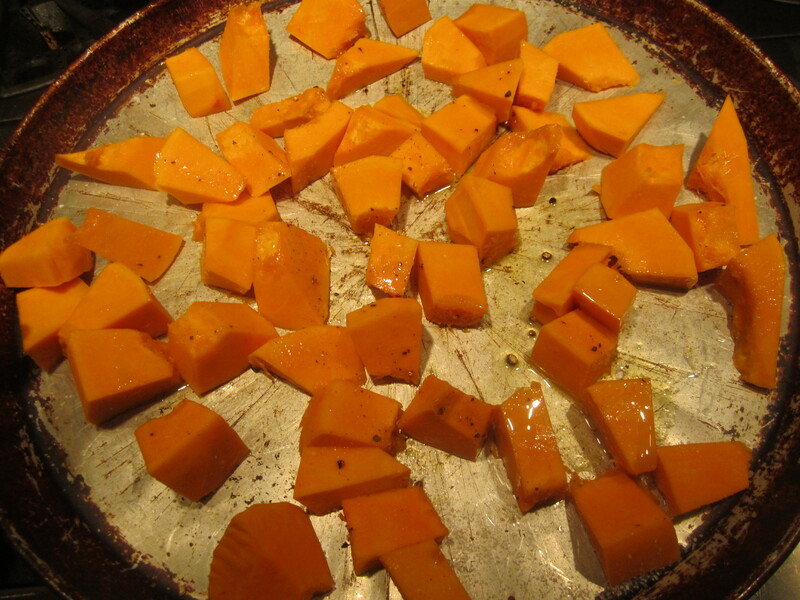 Spread squash cubes on baking sheet and drizzle with a teaspoon of olive oil and 1/4 tsp salt and a sprinkle of black pepper. Roast the squash at 375 degrees for approximately 40 minutes, until tender and slightly caramelized, turning halfway through. Combine the greens, oil, vinegar and agave and toss. Taste and add salt and pepper. Mound greens in center of plates and top with squash, olives and crumbled cheese.